Nowadays, rising numbers of UX/UI designers add interactive/animated elements, like hover states, audio or video media, scrolling interactions and more, to websites so that their designed interactive websites can attract and encourage more site visitors to read and engage with the site contents. That is also why interaction design becomes an overwhelming trend in website design. APPS is a great interactive website created by VGNC company for liquor brands. Even though it is not easy for designers to build or accomplish an online website for alcohol products, this site has introduced its flagship product, APPLE CINDER, in a very cool and intuitive way. How does it achieve that? The answer is actually very simple. 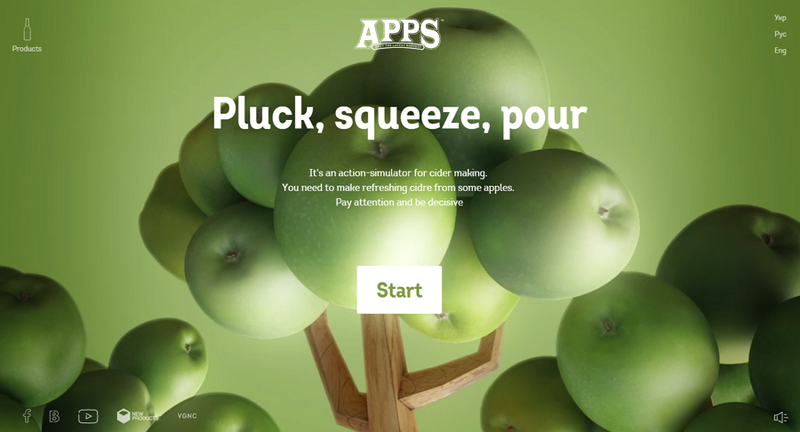 Firstly, the designers of this site have added a cool visualized action-simulator that has briefly and vividly introduce the process of cider making. And, site visitor or customers can easily follow the guide of this remarkable action-simulator to know how apples can be processed into APPLE CINDER wines with simple clicks. Moreover, its simple and neat Product page with a nice color scheme is also remarkable to let visitors focus on product features for increasing product sales. Webflow is not only an interactive website with a wide variety of animations, but also a useful online tool that helps designers and developers to create a responsive and visualized website with ease and efficiency. In these days, in order to attract more visitors to download and use website products, some common online websites often adopt a way of displaying product key features and leaving a download link/button together on their Home pages. However, Webflow uses a totally different way. 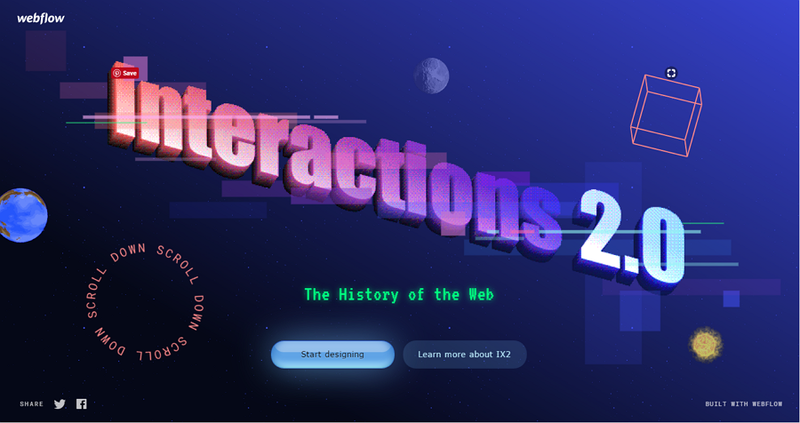 It first introduces the history of webs in an interactive and visual way for arising the interests of the audiences. And then, insert several “Start designing” buttons so that visitors can easily go on reading or using this tool if they are interested. By scrolling this website, site visitors can easily know the history of website development, just like watching a movie. That’s really cool. Moreover, many animated photos, texts and geometries are also eye-catching while site visitors entering this site. Polish Christmas Guide website is an interactive website for visitors to learn the Polish traditions of Christmas. With a cute cartoon look, it is very good for children to take a ride with Santa Claus and collect gifts that will present different traditions of Christmas in Poland. Actually, as an illustration-driven and voice-activated website, while scrolling the website to collect different Christmas gifts, you are more like playing a game online. So, this is really a good try to arouse the interests of site audiences. Moreover, some strong messages, which hits hard and brings awareness to abused children, shown in the end of the Christmas game, are also really meaningful and impressive in calling on people to help and protect abused children. 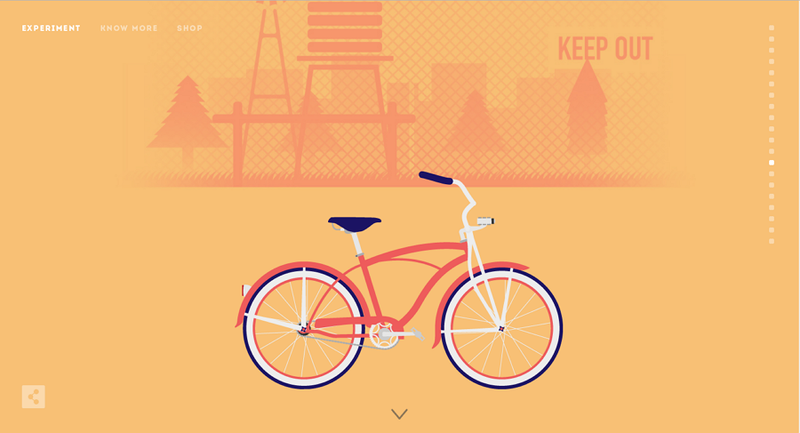 Cyclemon is a simple and beautiful interactive website that introduces a variety of bicycles. It stands out for a colorful illustration style. And as a cycling enthusiast, you can easily browse a series of beautiful bicycle illustrations in different categories to select your favorite one with simple parallax scrolling. Moreover, its color scheme is also really comfortable and fashionable. 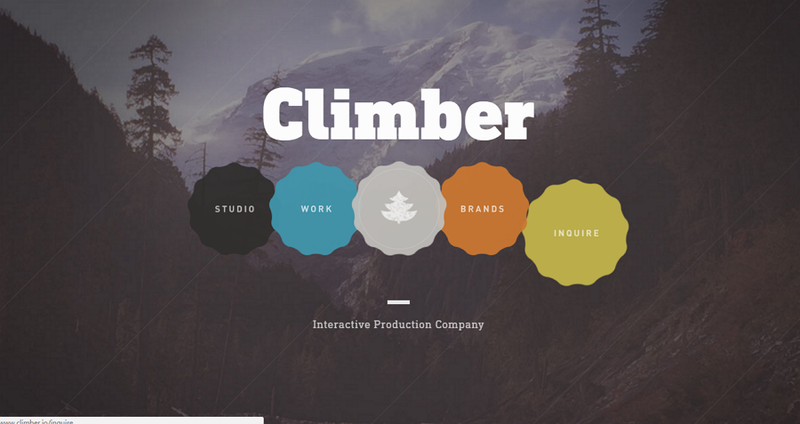 Climber is an online interactive website that introduces a creative company, Interactive Production Company that creates compelling digital products and experiences. Its forest theme is really unique and distinctive. Moreover, with various interactive and animated elements, you can smoothly check its design works and the related studio information with simple clicking and scrolling. Therefore, if you are also thinking about designing or creating a similar unique online website for your creative digital company or studio, Climber is really a good example for you. Some of its interaction designs are really worth trying. Alex Buga is an excellent interactive portfolio website that nearly covers all aspects of designers, such as his personal photos, website design works, favorite songs, journals and blogs, etc. Unlike some standard online portfolio sites that often help designers display everything in a mechanic way, this website is just designed into a cool room with modern furniture and decorations. And all the added sections to showcase different design works, songs and blogs, etc, are simply placed in this room just like other decorations. As a site visitor, you can freely click these interesting sections to check your desired information. 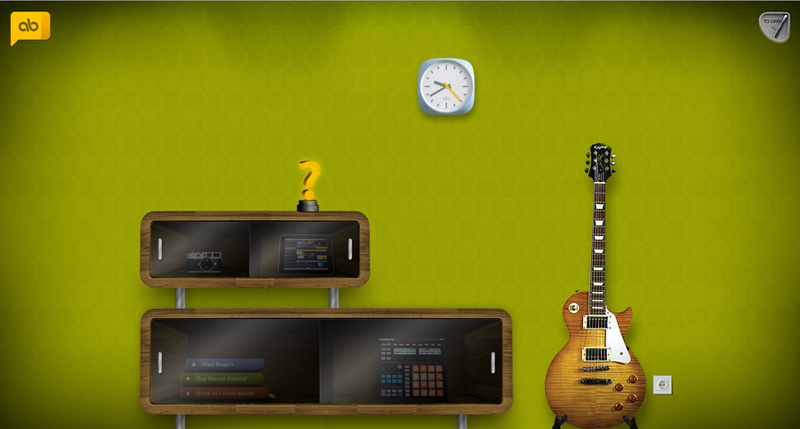 Moreover, its “My Music” section is really a perfect place for you to relax yourself and know more about designers. 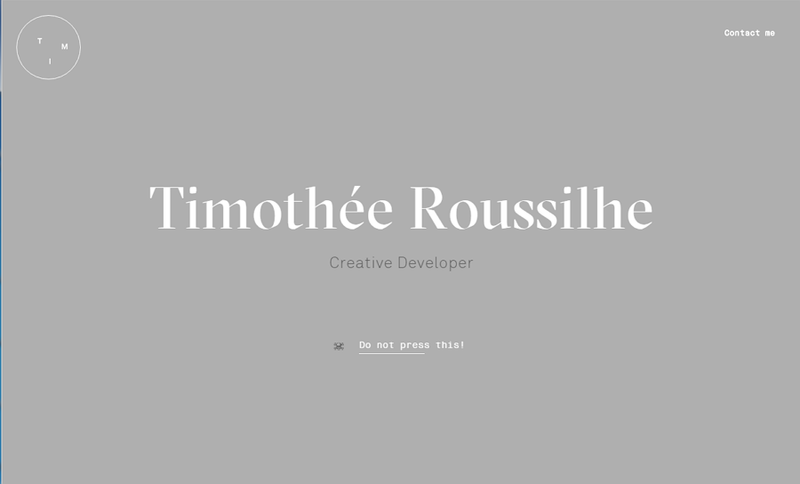 Timethee Roussilhe is a simple and creative resume website of a designer called Timothee Roussilhe. In order to provide visitors more pleasant and impressive experiences, the designer has added many creative and interesting interactive elements there. For example, after opening this resume website, you will see the designer’s name ( Timothee Roussilhe ) is displayed in white letters. And this group of white letters itself is a small funny game. You can easily drag any one of them to hit down the rest just like playing bowling. Of course, you can also simply click "Do not press this!" to hit down all letters at once. And when you move your mouse cursor over the site icon that is located on the right upper corner, this icon will turn into different stick figure expressions. Moreover, the expressions change with each click. So, for me, it is really a very interesting experience to find out such interactive designs one by one. And, how about finding something cool by moving your mouse cursor to the designer photo? 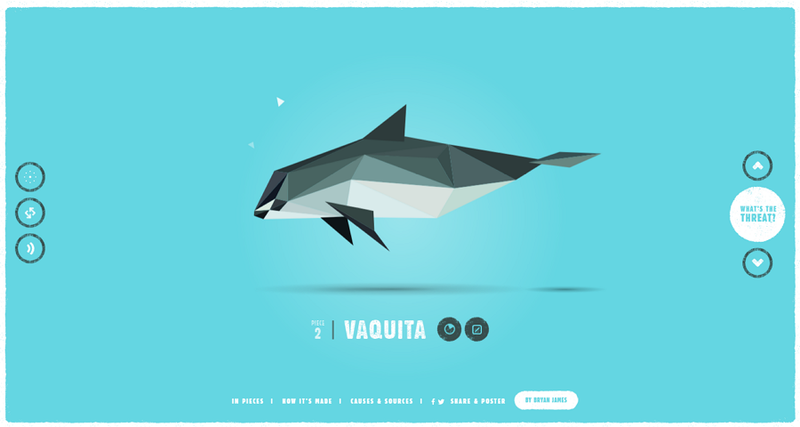 Pieces is a unique interactive website that has shown 30 endangered species with 30 pieces that can form animated animals, like helmeted hornbill, Vaquita, golden lion tamarin, golden poison frogs and more. And you can easily cycle through each animal and check their information and stories, including the dates of discovery, histories, videos and more, by simply clicking and scrolling. So, in this aspect, it is really a nice website to raise the awareness of people to help and protect endangered animals in a vivid and visualized way. 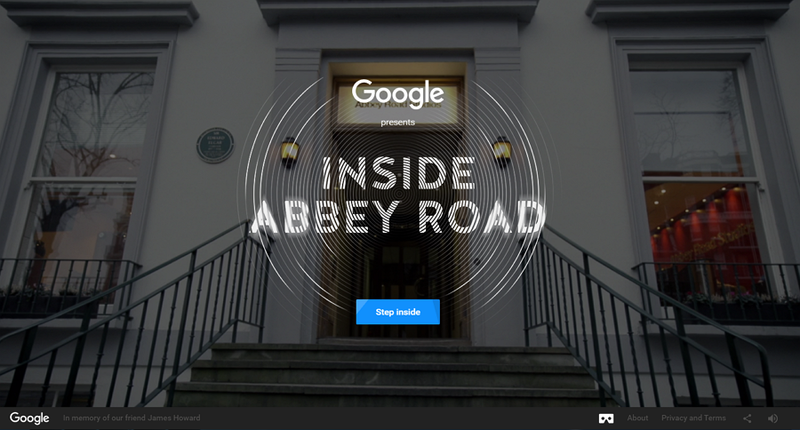 Abbey Road Studio is an interactive website that gives site audiences an opportunity to step inside the famous British recording studio, Abbey Road Studio, online. It shows every nook and cranny of this famous studio in a visual and interactive way. And you can easily follow its footsteps to feel it and also discover some stories, images, videos and music related to this studio. Moreover, with sound activated interfaces, 3D scanning technologies, inline videos and other advanced web technologies, this site tends to give visitors a feeling of exploring and seeing everything as you are actually visiting Abbey Road Studio personally in UK. 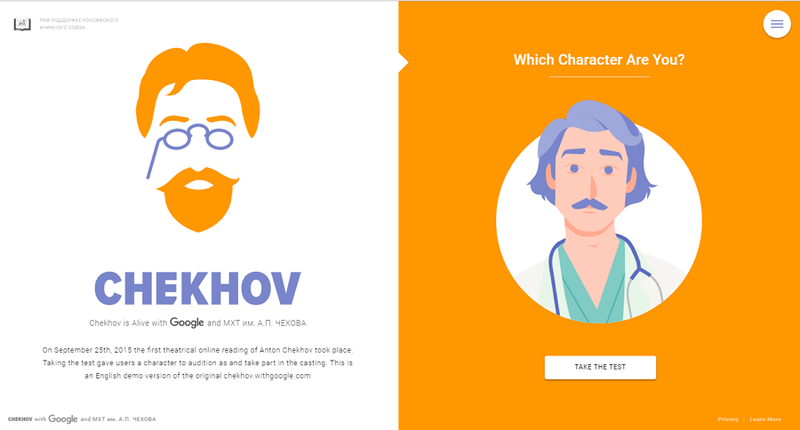 ChekHov is a fun interactive website with a unique illustration style and allows users to take a simple test ( answering 7 questions) to see which character they will be in the works of Chekhov. This could also be an inspiring idea to design an excellent online website for you.